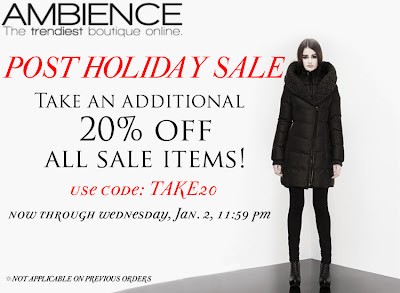 Don't miss out on our Post Holiday Sale! 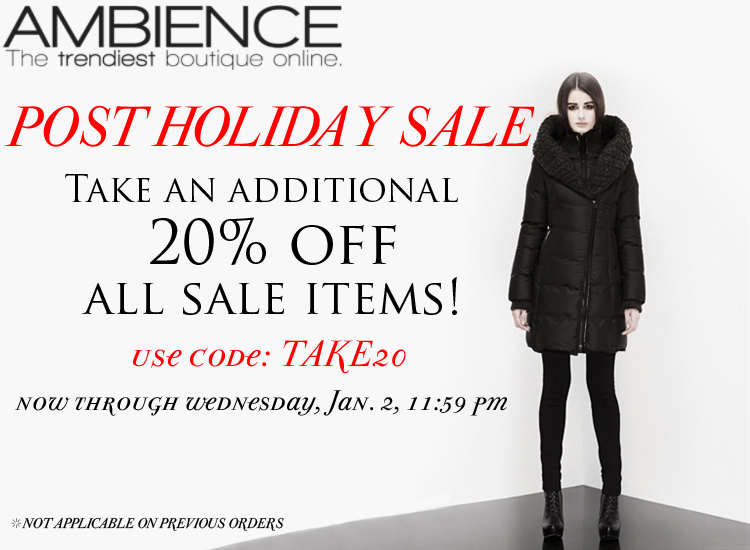 Take an additional 20% off all sale items now through Wednesday, January 2, 11:59 pm by using coupon code TAKE20 at checkout. We've got new markdowns, and endless savings!